So since their little brother arrived our ladies have been up to a lot of things! 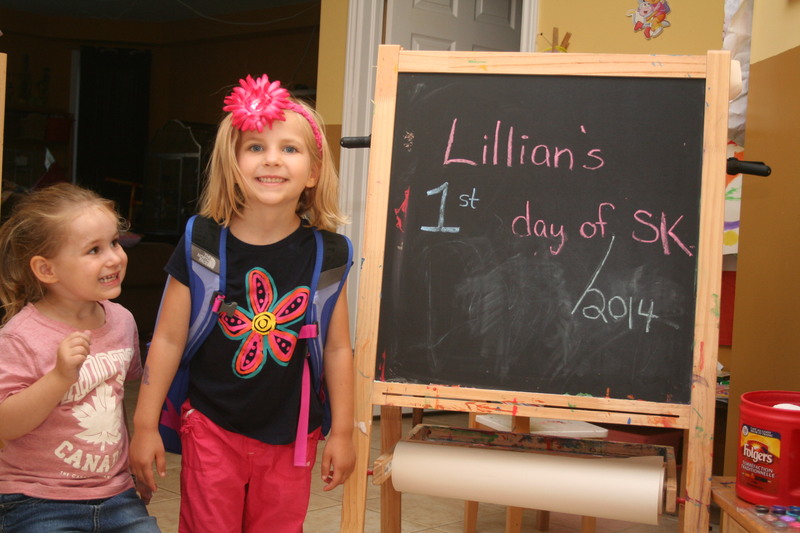 Lillian started SK the first week of September. She was so crazy excited to get back to school, and so were we. Lillian has always been a routine kid, so she needed the structure of doing the same thing each day. Now we have this again for her. She’s back in school, her gymnastics started again, and she is having a great time on the weekends (more on that in another post). I am so glad I have my happy girl back. Katrina is still in daycare until October 1st when she comes home with me and the baby, and honestly was a bit upset that she didn’t get to start school with Lillian. Now she is on this kick where she does not want to go to daycare. It kinda came out of no where. So we started a count down on the calendar for her to look forward to being at home with me and her brother. For now she has to keep going to daycare and she is enjoying going to ballet on Wednesday mornings. I let the girls each pick their own class and Katrina wanted ballet and Lillian gymnastics. 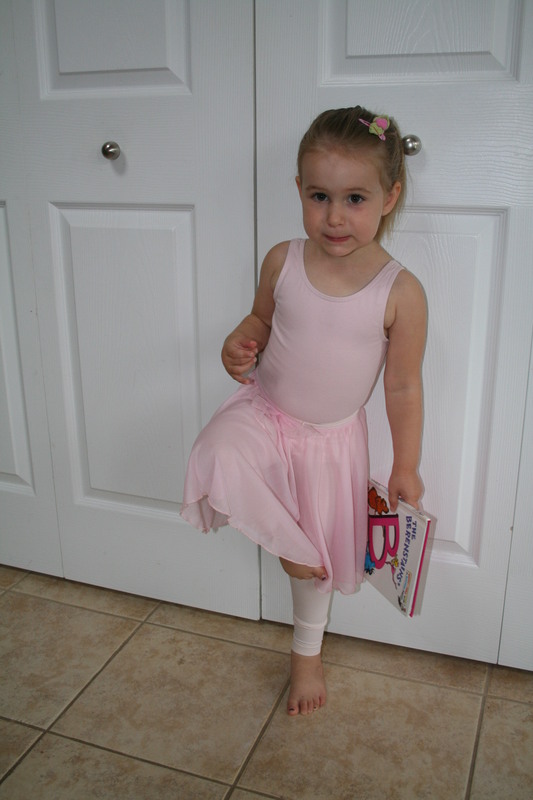 See our little cutie in her ballet outfit. Zack is doing great. He is growing all the time, and I couldn’t be happier. He has some great days where he eats and then sleeps and I get lots done and then there are the days where he just cries when I am not holding him, just like every other baby in the world. 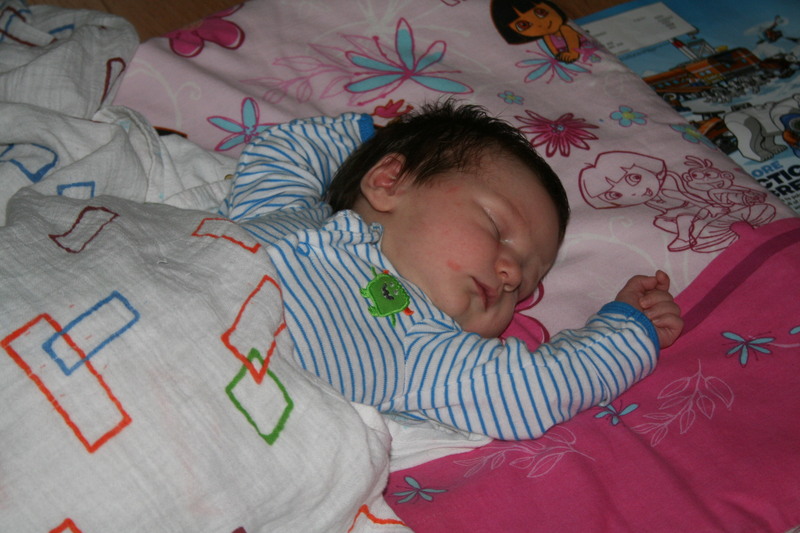 Right now I am trying to enjoy all the cuddles since he will be my last baby and I won’t get these moments again. So now I am trying to really enjoy him needing me because before I know it he’ll be walking and toddling after his sisters and forget all about me!